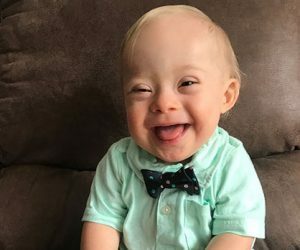 First time Down Syndrome Baby Wins! This year’s Gerber baby is a young boy with Down Syndrome. The iconic baby food company has chosen Lucas Warren, 18 months, as its “spokesbaby.” The Dalton, GA boy was chosen from more than 140,000 entries. Lucas is the first child with a disability to receive the Gerber spokesbaby honor. Since 2010, Gerber has selected a baby annually to represent its brand through an online photo search contest.